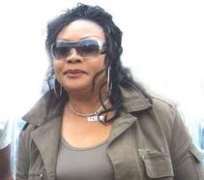 The New Year fuel subsidy removal scourge does not seem to be hitting everybody.People like star actress Eucharia Anunobi are now celebrating. This is because,the actress has just spent a whooping N11 million to make herself happy this new year. As you reading this page,pretty Ms. Anunobi who has always cherished BMW cars,has taken delivery of a brand new BMW X5 SUV. According to the information gathered,she has many months yearned to have this wonder-on-wheels in her fleet.As a result,she has labored tirelessly to purchase the car and finally two weeks back,she took delivery of the new car.